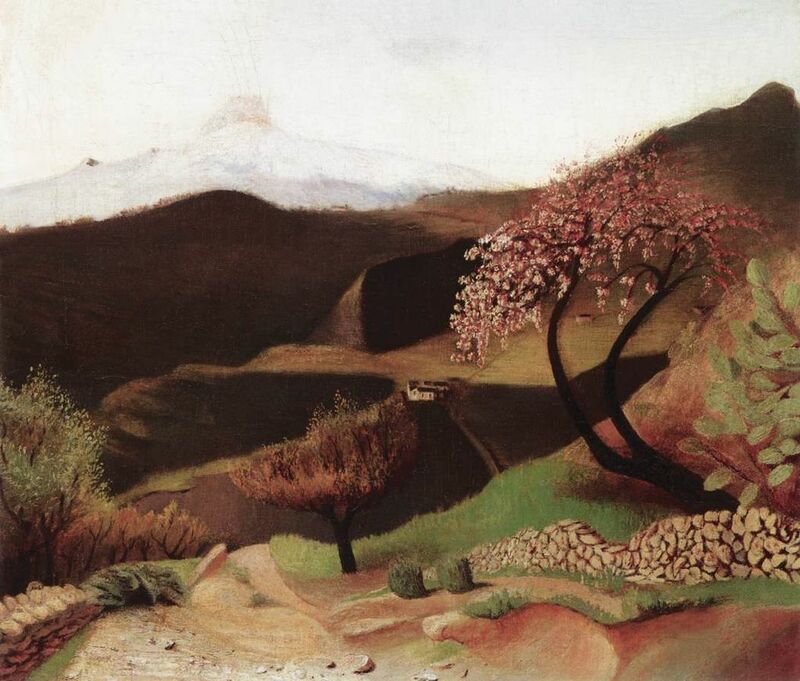 Blossoming Almonds by Hungarian painter Tividar Kosztka Csontvary (1853-1919). Image in public domain via Wikimedia Commons. Do festivals appeal to you? Agrigento’s Almond Blossom Festival is relatively new in Italian terms–only about 70 years of celebration so far. Many Italian festivals have several hundred years of history. But even though the festival is young, the almond has been in Italy hundreds of years, since its introduction by the Arabs (who brought many other delicious foods with them, too). And the almond trees around Agrigento accent the city’s ancient Greek temples. Temple of Concordia in Agrigento. Image from Wikimedia Commons. Debra Santangelo ofSicilian Connections has a blog post with great photos of the festival just now concluding, and from earlier years. Of course, almond based foods accompany the celebrations, and here’s another link to a recipe for cassata, a Sicilian cake–and what a beauty!–from Manu’s Menu, a blog by Manuella whose Sicilian heritage figures heavily in her blog. The visual archive of recipes will make your mouth water. Tell me, readers, you have a wide range of interests. 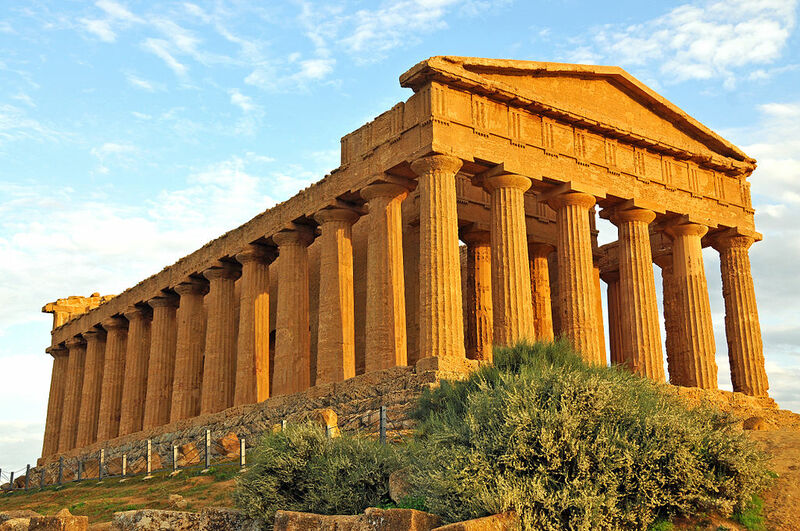 What would have more appeal to you in Agrigento–the almonds or the temples? This entry was posted in Blogs, Travel and tagged Agrigento, Almond Blossom Festival, cassata, sicily, travel. Bookmark the permalink. ← Food, glorious (Italian) food! I was in Agrigento at the beginning of March, when the blossoms were beginning to fade. I certainly had the best almonds of my life there! Actually, what I was most curious about the Valley of the Temples, was where were the goats? We could see goat droppings all over, and occasionally hear them at distance, but couldn’t actually find our where they were housed. I like the idea of goats running though the almond trees and temples at night….